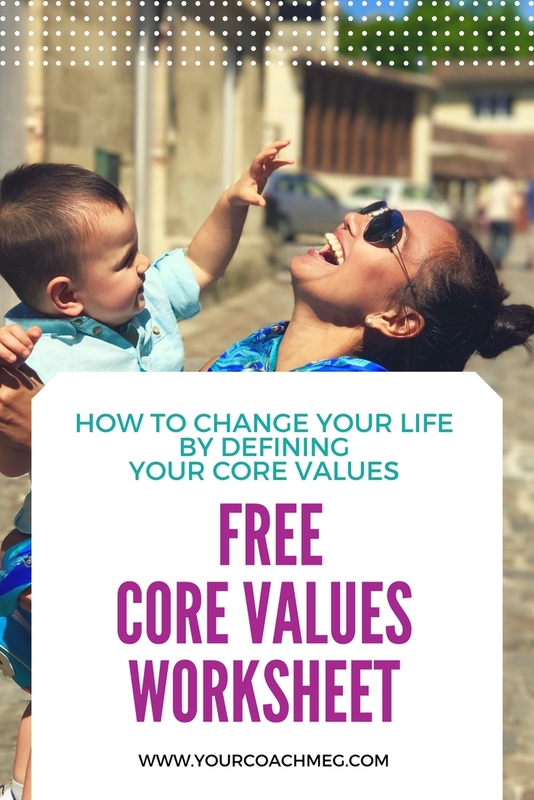 Sweet friend, defining your core values can literally change your life. 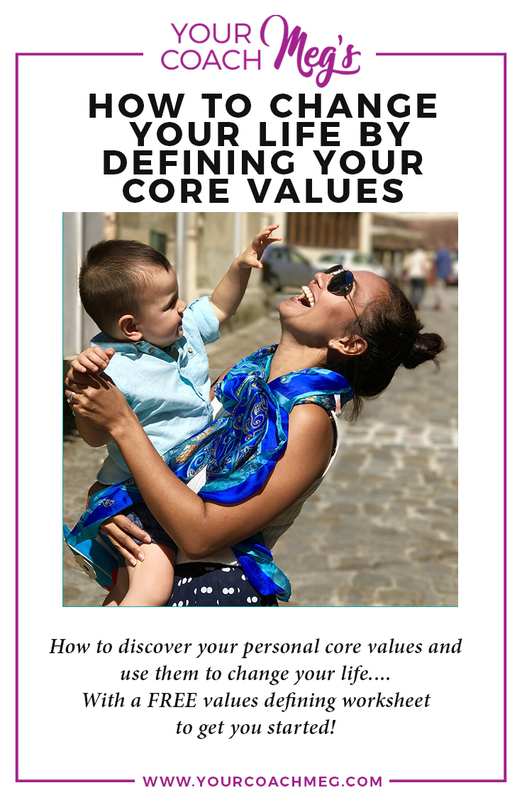 The first place to begin with discovering your values is to reflect on your life – specifically moments when you have felt proud, happy, and satisfied or angry, hurt, or frustrated – and look for the true cause of these feelings. Generally, we feel our very best when we are living in line with our values and we just don’t feel right when we are living in violation of our values. I usually feel my best and am my happiest self when I make deep friendships where I really feel like I can be myself 100% of the time without feeling judged. I also thrive in my relationships when conversations aren’t only about surface things, but we quickly go deep, get uncomfortable and get real. When I thought long and hard about this, I realized that I always feel unfulfilled when I don’t have any of these deep and authentic relationships in my day-to-day life. I really want you to keep in mind that when you’re defining your values, there are no right or wrong answers, but it is important to be honest with yourself. A really great litmus test to know if something truly is one of your values is to notice if you say to yourself that it “should” be your value. If it really does have a “should” in front of it, then it probably is a value that someone else has put on you over the years, but it is no necessarily one of YOUR core values. 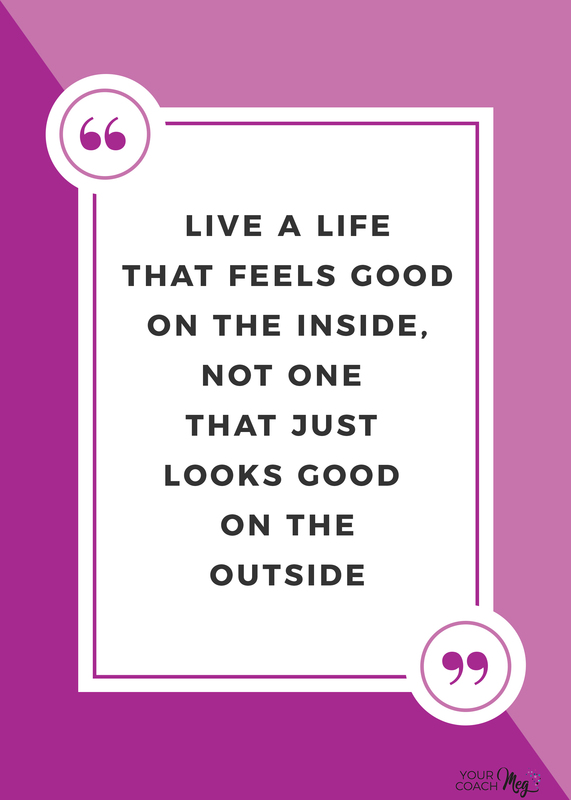 This has been a huge revelation for many of my coaching clients and I hope it proves to be helpful for you as well. That is what your values are all about – making sure what you do on the outside is matching up with what you heart is saying on the inside. 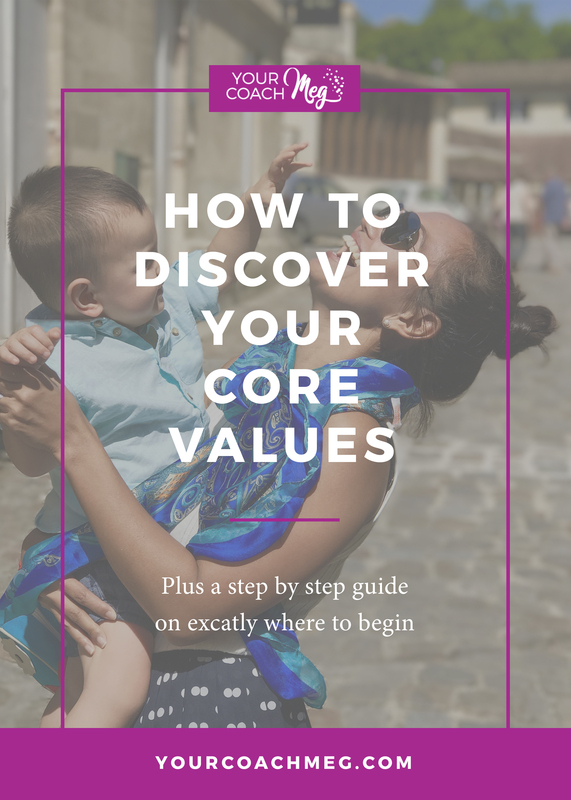 Once you know your values, you can use them like a roadmap to help you design a life that you love… and that loves you back! I first wrote down my values nearly seven years ago and I read over my values at least once a week. Everyday I try and make sure I include a few activities that support my values, even if I don’t have much time: 15 minutes to do something that brings me joy whether its talking to a friend, writing, meeting new friends about town, sewing, or listening to music that makes my soul sing. These little actions help me feel happier and more positive every single day. 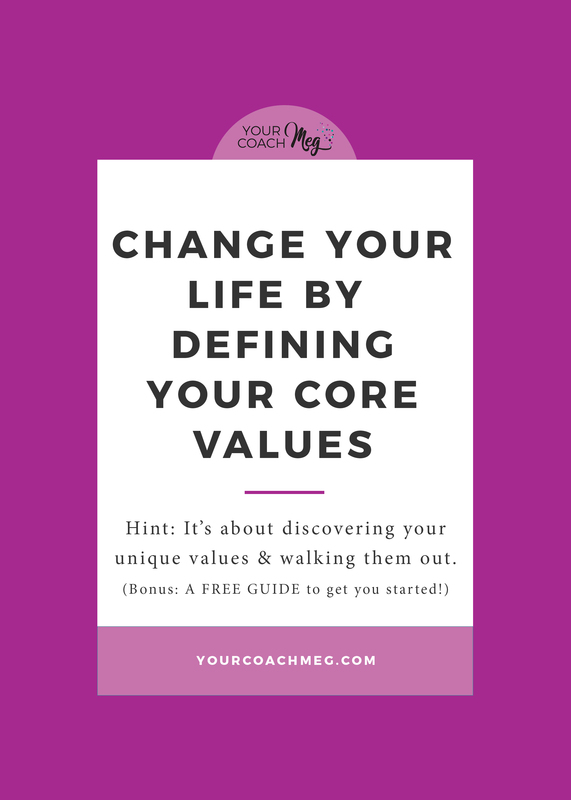 Your values can also guide you and help you make much bigger changes as well… even change your life completely as you begin to make it a priority to align your values with how you spend your time every day. Your life won’t necessarily change, but know that what you can control are the little decisions you make everyday, all day long. You can choose to do more of what makes you thrive and minimize the things that drain and leave you feeling in conflict with these values. 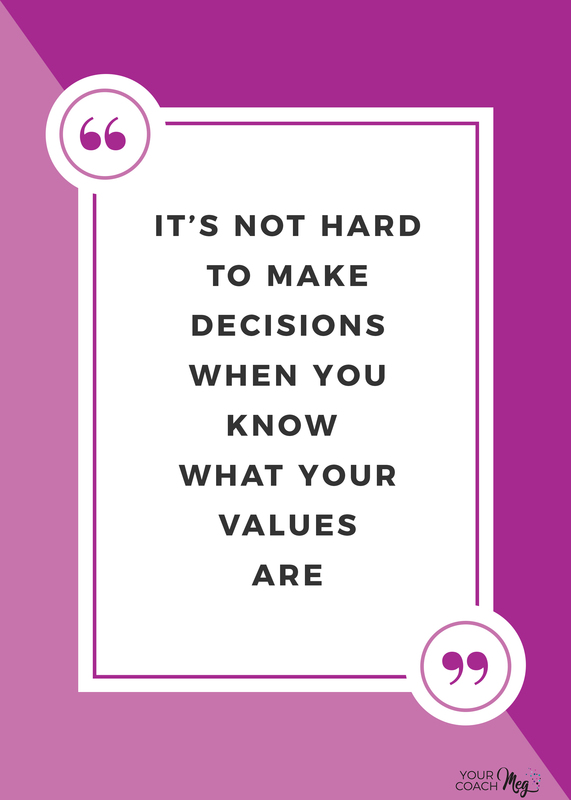 Have you ever explored your values before? Do you use them to guide your life? Let me know in the comments! I’d love to hear from you!